I sat in the lobby of one of my university’s residence halls for about two hours tonight. Every minute, people walked in and out of the several doors. A constant flurry of motion visible in the corner of my eye. It’s so easy to be totally ignorant of the flood of people passing you by. To tune it out and let them blur together as one mass of humanity. But that’s not a very accurate picture of reality, is it? Each face flashing in front of me is totally unique. Each laugh, each voice is like none other. Each individual walking by has their own story. Their own worries, their own to-do lists running through their minds, their own hopes and dreams. Their own heartache and hurts. I’ve learned to see people. To focus on the person sitting beside me and pay attention. To see and know. 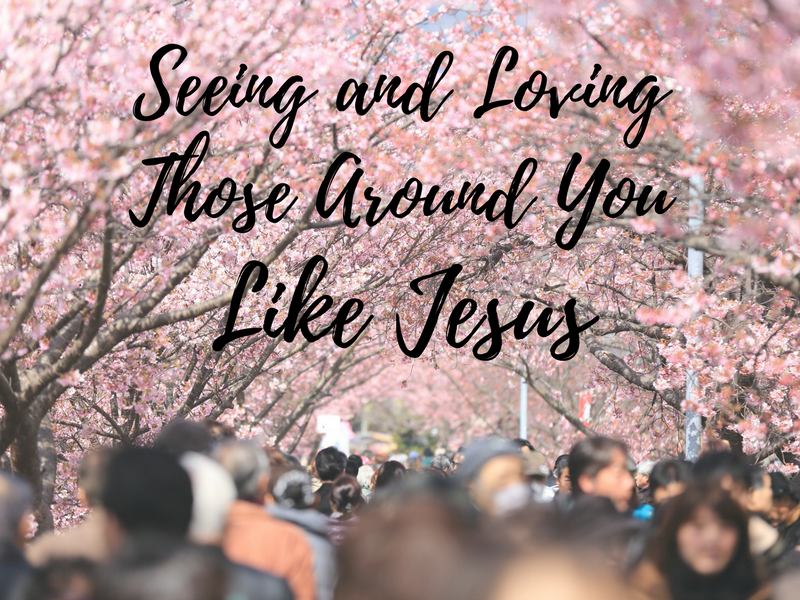 Jesus did this so many times–we have beautiful recordings of these moments in the gospels, especially the gospel of John. He took the time to notice the people around Him. He brought His day to a full stop and talked to those who were lingering in the background, seemingly unnoticed. He had a busy schedule. Places to be, things to do, people to visit. Yet He put everything on hold to be present for that one person. It wasn’t uncommon for His disciples to complain, or the crowds following Him to grow restless. But he ignored that, and stopped anyway. Why would the Son of God, fully conscious of every individual human, stop for one? In one sense, I don’t have an answer. I don’t know why that one. But I do know His character. Jesus was one who loved people compassionately. Though it made no sense, He would do it anyway. He stopped for Zaccheus. He stopped for the woman at the well. He stopped for the woman with a persistent issue of blood. 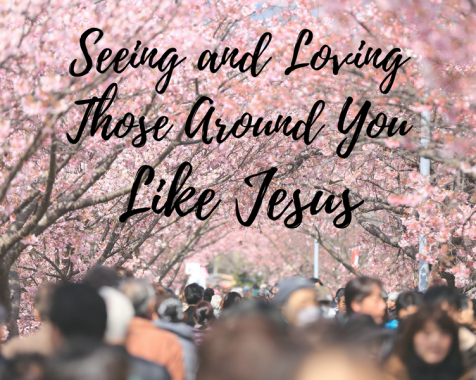 If Jesus could take time out of His day to really notice people and talk to them, can’t I? Yes, I have homework. Yes, I have a never-ending to-do list. Yes, I have traffic to beat and work to do and I’m tired. No, none of those sound like very good excuses when held up to Him. 1 Corinthians 13:1-3 describes all manner of good things we can do… and emphatically proclaims that “without love, I am nothing.” If I get a 4.0 GPA, but have not love, I am nothing. If I am super efficient and get all my work done with time to spare, I am nothing. If I spend the fewest minutes possible in my car, I am nothing. Instead, let me set myself to the work of the Lord, living for the eternal reward. Share hope and truth with your friends! Homeschool graduate pursuing an Applied Linguistics degree at the University of South Florida in preparation for working in Bible translation or overseas missions. I think deeply and laugh hard. Languages and history fascinate me, and music and words inspire me. My favorite thing is sharing hope and truth with the world and equipping others to do the same.